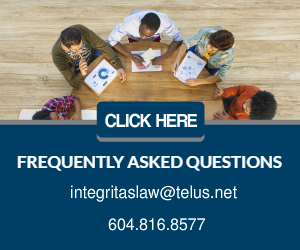 A very recent decision from the Office of the Information and Privacy Commissioner of British Columbia (OIPC), 2017 BCIPC 58, is a reminder to employers about employee privacy and when it is acceptable to conduct video surveillance. In June 2017, a video showing disturbing images of animal abuse at a chicken farm in the lower mainland, was released to the media. After the video was released, some of the employees received death threats by an enraged public and the company’s reputation was tarnished. The company, which offers chicken catching services to farmers and large poultry processing companies located in BC, hired a crisis management consultant to help prevent future misconduct by its employees and also restore its reputation. On the advice of the consultant, the company required its employees to wear surveillance video cameras while they worked. The thinking was that this would discourage employees from abusing the chickens. It appeared that this successful, because the company executive who was responsible for reviewing the surveillance when it was being tested, indicated that he had not observed any misconduct when he reviewed the recordings. When the OIPC learned that the company intended to continue using the video surveillance, it initiated an investigation to examine whether the surveillance complied with the Personal Information Protection Act of British Columbia (“PIPA”). PIPA governs the collection, use and disclosure of personal information by organizations in a manner that recognizes both the right of individuals to protect their personal information and the need of organizations to collect, use or disclose personal information for purposes that a reasonable person would consider appropriate in the circumstances. Under PIPA, personal information that is collected can only be used for purposes that individuals have been notified of, or which are sufficiently obvious to provide deemed consent and which a reasonable person would consider to be appropriate. In this case, the company did not notify individuals of all the potential uses of the personal information it collected through the surveillance. At a group meeting, the company simply told the employees that the surveillance was a preventive measure to protect their reputations. It did not inform the employees that the surveillance could be used for the purpose of managing their employment relationship with the company and that they could be disciplined if the recordings showed that they were not following standard operating procedure. The company also did not tell the employees that they might show the surveillance to customers, as a means of managing the company’s reputation. The OIPC also found that even if the company was going to use the information captured by the video surveillance “solely for deterring improper conduct of the employees”, such collection would not be “reasonable”. It was not reasonable, because the reasonable person standard requires that surveillance should only be used as a last resort after less invasive measures to achieve the business purpose, have been exhausted. In the current situation, the company had not considered any other alternatives. For example, it had not considered measures such as employee training or “spot checking” the chicken catching operations to deter abuse. In the situation under consideration, there were no prior instances of employee violence, workplace injuries, thefts, or other safety concerns that justified the installation of the surveillance system. Consequently, it was not authorized under PIPA. If an organization is collecting surveillance recordings of individuals while at work, it is collecting “personal information” under PIPA. An organization should limit the collection of personal information only to what is necessary for a previously identified purpose. PIPA authorizes the implementation of video surveillance in accordance with the reasonable person test, only where the three pre-conditions described in the decision, are satisfied. Video surveillance should be a last resort – it is not a “quick and easy” fix.